I’m a “day late and a dollar short” as the old-timers used to say. Did you know Sept. 24 was National Punctuation Day?” I didn’t, but as an editor, I applaud having one! Perhaps the biggest punctuation problem is when to use an apostrophe with IT. I would say about 90% of people today consistently add the apostrophe when they don’t need it. It’s is a contraction for it is or it has. Its is a possessive pronoun meaning something belongs to it. And there is absolutely, positively, no such word as its‘. Hint: If you can replace the word “it’s” with “it is” or “it has” you can use the apostrophe. Otherwise, don’t. Another misused punctuation mark is the quote. You see it everywhere, especially on signs. People use it to emphasize words, but it makes it appear that they don’t really mean it. Quotes should be used to denote dialogue or words directly quoted from another source. If you want to emphasize your sign, use bold print, a different color, or underline it. What are your favorite misused punctuation marks or signs with quotes? This is Banned Books Week. What is your favorite banned book? I keep coming back to Huck Finn. That’s the way they talked in those days, folks! Harry Potter banned? This series got kids reading again. The controversy in any of these books can be an opportunity for meaningful dialogue between parents and kids. As a former journalist who forgot her camera, I’m relying on the photo-journalism of Joyce Lohse, fellow Women Writing the West author, to give a glimpse of our conference highlights in LA recently. WILLA Winners Michele Longo Eder, Salt in Our Blood: The Memoir of a Fisherman’s Wife (creative nonfiction); Ellen Waterston, Between Desert Seasons (poetry); Fern J. Hill, Charley’s Choice: The Life and Timjes of Charley Parkhurst (historical fiction), and Barbara Linsley, Dreams on the Oregon Trail (childrens/young adult). Beautiful sculptured gardens at Getty Center drew most of our attention on our short tour. We were also able to take in a 1951 B&W photo exhibit by Irving Penn. I can see that one could spend several days at the Getty to see it all! Fond memories and wonderful photos by Joyce Lohse. I just returned from my annual Women Writing the West Conference, this year held on the UCLA campus. This was an out-of-the-ordinary venue with an emphasis on screenwriting, cultural presentations such as “Homelands: How Women Made the West,” from the Autry National Center Traveling Exhibit, and “Untapped Treasures: Tips From California’s Leading Archivists,” tours of Hollywood and the Getty Museum. We also had opportunities to meet one-on-one with agents, publishers, and marketing coaches, attend workshops on marketing, boosting creativity and panels on what agents and publishers are looking for. We honored the winners of our literary contest, the WILLA Awards, and listened to readings from their wonderful works. All of these wonderful events aside, what I take away from these gatherings is the richness of friendship and the warm, supportive generosity of the women (and men too) in this organization. I’ve forged lasting relationships with fellow writers through the years and look forward each fall to making new friends. I had the pleasure of meeting Bob Scott (B.J. Scott) who has written The Angel Trilogy, books about women of the Gold Rush, with enough action and adventure to satisfy men readers as well. WWW is “international” with our members from Canada, Hope Morritt and her daughter, Lynn. I was delighted to meet Marcia Meredith Hensley from Wyoming, WILLA Award-winning author of Staking Her Claim: Women Homesteading the West. And so many more–I could go on and on. Thank you all! Women Writing the West is open to women and men who live and write in the west (members don’t necessarily have to write in the Western genre) or to authors who live anywhere in the U.S. and write about the West. The WILLA Award (named for Willa Cather) are open to any published book set in the West with a strong female protagonist. 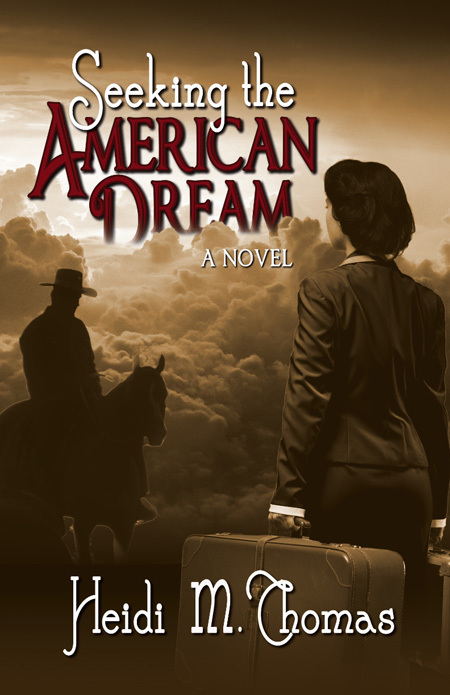 We are authors of contemporary as well as historical fiction, romance, mystery, and poetry. We also sponsor the LAURA Award for short fiction, named for Laura Ingalls Wilder. It is a rich and diverse group, and I’m proud to be a member. My guest blogger today is Christine Duncan, the author of the Kaye Berreano mystery series. Book two of the series, Safe House has just been released by TrebleHeart Books. Visit Christine at her website or catch her at Rule of Three. The leaves are falling, Christmas lights are starting to appear, and Thanksgiving is only days away, but Kaye Berreano can’t begin to think about the holidays. In this second book of the cozy mystery series, Kaye, a Colorado battered women’s counselor, is just learning to juggle her two teenagers, her all consuming work, and her relationship with police investigator Pete Farrell, when she finds out that her son, RJ, is the main suspect in a murder investigation. Why Don’t Battered Women Leave? Worse yet, Why, Having Left do They Go Back? When people hear that I set my Kaye Berreano mystery series in a battered women’s shelter, they are curious. The one thing people want to know is why battered women don’t leave. The answers to that question are more complex than one short blog post can cover but let me give it a try. But the first thing I need to tell you is that I set the books in a shelter to help make the answer to that question obvious. Battered women’s shelters are wonderful and I support any effort to have more around the country. We have a great need for them. But they are often noisy, and crowded. Sometimes shelters are so crowded, that when a woman calls up with a need for refuge for her and her children that the shelter has no room to take them in. They try to refer the women to other places, make sure they are safe. But there is only so much room. Sometimes women don’t leave because they have nowhere to go. He has threatened not only them, but their family or their friends. And the women believe the threats. So they don’t go. Sometimes women leave but go back to the guy. People find that the most baffling but it isn’t when you think about it. The answers are there. Shelters have a time limit too. Most shelters around the country are emergency type shelters. The women who go there need to be out in anywhere from two weeks to forty five days on average. There are longer-term shelters but they may have waiting lists. They are definitely less prevalent. So women come to the shelters, often with their children and with whatever stuff they could grab in the little time they had to grab it. Maybe she decided to leave when he was at work. Maybe she had the cops come out to protect them while she took their stuff. Whichever it was, it wasn’t much time to remember their prescriptions, the kids’ birth certificates, her contact lenses and their clothes. She probably forgot something—maybe just deodorant—maybe the kid’s homework. She probably doesn’t have any pictures. But she and the kids are safe. And they get to the shelter and she realizes that it isn’t over. The guy is going to try to intercept them in the parking lot at her work or at their son’s school. Maybe the woman realizes she needs to think about changing the school. Or get a new job. But she has this time limit and she needs a new apartment and furniture and dishes and more clothes. How will she come up with the deposit and first and last for an apartment? It begins to feel a little overwhelming. Okay, a lot overwhelming. And the women see the time ticking away, and they still don’t have the money for an apartment. They really haven’t figured out the school and work thing either. He keeps showing up at the daycare, trying to get the baby. So far, the daycare hasn’t let him. So far. So she tries to get him into counseling and goes home, hoping maybe this time it will be different. But she decides to set some money aside, plan a little better in case it isn’t. And she fields all the questions. But it’s too tiring, too complicated to explain it all. Safe Beginnings, the first book in Christine’s series is available at Treble Heart Books. Thank you, Christine, for sharing your thoughts and insights with us. 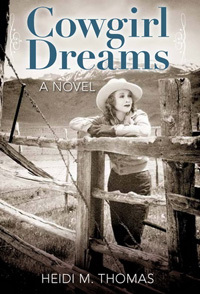 My guest today is multi-published Northwest author Norma Tadlock Johnson. She has had 12 books published over 27 years, in romance, middle-grade novels and a non-fiction about the mountain troops of World War II, Soldiers of the Mountain. Her latest is Donna Rose and the Roots of Evil, released in January of this year, a sequel to Donna Rose and the Slug War. Hazards of the Game, also a Cedar Harbor Mystery, is slated for August, 2010. Book Club editions have been purchased by the Worldwide Mystery Book Club of the two Donna Rose books. Welcome, Norma. What motivated you to become a writer? I always figured I’d write “someday.” That day finally came when my husband and I traveled from Canada to Mexico while he had a sabbatical leave from San Francisco State University. I’d think of my next scene while we were in the car and that night in the campground, I’d write it. 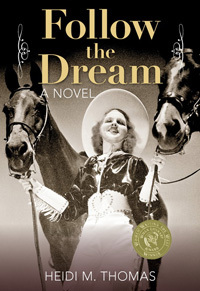 My multi-published (around 70 books) and award winning daughter (she won the RITA for the best series romance last year), Janice Kay Johnson, was also starting to write at the same time while they were living in our small cabin on Camano Island and she was commuting to her job as librarian in Bangor. Neither of us sold those first books. Summertime Love by “Kay Kirby,” published in the Adventures in Love Series by Signat (NAL) I’ll never forget the day my husband came down the driveway carrying a Mail-o-gram. He said, “I don’t know, but this looks like it could be something important.” I was unable to reach the editor immediately — my line was busy, then he was out to lunch. What we hadn’t known, was that editors like to sign up an “author,” not one book. I was amazed when, after he said he thought we were “fresh,” when he offered a two-book contract with an option on a third. In the beginning, you and your daughter collaborated on a number of books. Did you brainstorm together, both write parts, or how did that work? Yes, we brainstormed during the summer and then my husband and I went back to the San Francisco Bay Area. We alternated chapters and mailed them back and forth. This was, of course, before e-mail. Bob would sneak into the copy center at the University and make copies after I’d changed them. Eventually, our work was enough alike that we couldn’t be sure which of us had written certain sections. Are mysteries harder than other genres to write? What kind of mind-set does one have to have-devious or more of a puzzle solver? No –I prefer them. I’ve always been a mystery reader, staring with Nancy Drew as so many of my writer friends did. Even my middle-grade novels were mysteries, with elements of fantasy. I have no idea on your second question. Is the Cedar Harbor mystery series your first in this genre? How did you come up with the name Donna Rose and the idea of a “senior sleuth” for these books? My characters always name themselves. Writing about a senior was a natural since I am in that category. Also, my plots take turns of their own. When I first came up with the slugs, I figured Cyrus was going to be the villain, but he had other ideas. Also, Alvin just showed up. I also had no idea why. He, however, obviously had a plan. Is first-person easier or harder to write than third-person? I must think it’s easier since that’s what I usually use. The romances, however, had to fit the line. Very little. I did take advantage of my daughter’s better knowledge of plants. I also bought a book about slugs. You might be interested in how slugs came to be important in my books. We had enormous number of them on Camano Island. But neither of us liked to kill things. My husband had been a Naturalist in the National Park Service. The little black- spotted ones clearly suffered when sprayed with ammonia. So — we took to tossing them in the wooded vacant lot across the street. Your publisher is Five Star/Gale. How much marketing and publicity do they do for you, and how much do you have to do yourself? Since they aim at libraries (the books are relatively expensive, with durable library covers), they send catalogs all over the country. Otherwise, publicity is up to me. However, this is true these days of almost all publishers unless one is a big name with a big advance. I understand that the amount they spend on publicity is directly related to the amount they’ve paid the author. What advice do you have for writers who want to be published? Be stubborn, have faith in yourself, and multiple submit, submit, submit, even though publishers say they don’t want you to. And join a critique group. Norma, thank you for sharing your story and experience with us. Norma’s books are available through local bookstores. And be sure to check out her website. Today, I’m running a post I did during my blog book tour last spring. We’ve caught up with Ada Brady, Nettie’s mother and have convinced her to take a little break from her many household chores, sit down with a cup of tea and answer a few questions. Nettie groaned. Why couldn’t Mama understand that she’d rather be outside, working with the horses and cattle? With that look on her mother’s face, she’d be lucky to get outside again by this time next summer. Maybe if she did a really bad job of darning, she wouldn’t have to do any more. She wove the needle over and under, under and over, deliberately missing some threads. “Okay.” Nettie kept her head down. Nettie looked up, keeping the smile from coming. This was it. Now Mama would let her quit rather than being embarrassed to give the socks to Mrs. Conners. Mama picked up the scissors and cut the woven patch right out of the sock. Nettie gasped. Then her mother picked up another, looked at it, and cut the darn out, too. “This is sloppy work. You’ll do it all over.” She flung the socks back into the basket. HMT: Mrs. Brady, don’t you think you were a little hard on your daughter? After all, she had a successful ride on that steer? Mama: Absolutely not. Nettie is a headstrong girl. She has to learn that she cannot just run wild, dress like a man in public, and ride off whenever she feels like it. HMT: But ripping out her work and making her do it all over? Mama: I know she hates this job. But it’s important to learn to take care of a family. This skill not only keeps her and her brothers in socks without holes, it earns us pin money, so we can buy something special when we go to town. She’ll need to know this when she has a family of her own. HMT: I understand. 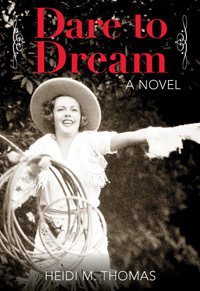 But Nettie has a dream, to be a rodeo star. Isn’t it a good thing for a young woman to have a goal in life? Mama (sighing): Yes. It is. I had a dream once—to become a musician. But you know what, it was not practical. Sure, I can play now for enjoyment, but it doesn’t put food on the table and clothes on my children’s backs. HMT: And you do have a large family. Mama (proudly): Yes, eight children living. HMT: I gather Nettie doesn’t aspire to marriage and children. Mama: I just don’t understand that girl. Her two older sisters took naturally to needlepoint and cooking and housekeeping. They couldn’t wait to set up their own households. But Nettie… (a shake of the head) All she wants to do is ride her horse. And now steers! HMT: Why is Nettie wanting to ride in rodeos such a bad thing? She could probably win some money and help the family out that way. Mama: That may be true, and we could use the extra income. But, it’s such a dangerous pastime. 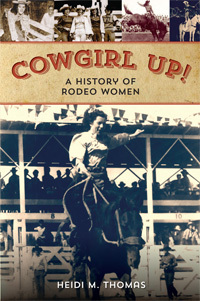 Why anyone—especially a girl—would subject her body to such a beating on top of a bucking animal, I’ll never understand. HMT: I’ve heard there’s an adrenaline thrill in doing something like that. Mama: It’s just not practical. And women who travel around the country with men, well, they have a (eyebrows raised) “certain reputation,” don’t you know? HMT: I didn’t know that. What about Marie Gibson? She’s married and has a couple of children. She’s not that kind of woman. Mama: Oh, Mrs. Gibson. Yes, she is a fine woman, and she has done her best to convince me that she can keep Nettie under her wing while taking her on the rodeo circuit. (sighs) My goodness, maybe I shouldn’t fight Nettie on this so much. She certainly is determined. And I’ve seen her ride. She really is quite good. HMT: I’ll say she is. I admire what she does. I’ve never been brave enough to ride a bucking steer or bronc. Mama: Yes, I suppose it does take courage. But, you know, I would be remiss in my role as a mother not to want to protect her and to teach her how to cook and mend and care for a house and children. (She stands, takes our cups to the dishpan, and turns back to me.) I’m very glad you’re writing about our dear Nettie, but please, try not to encourage her so much in her headstrong ways. (She sets a heavy flatiron on the cook stove.) Now, I really must get back to my chores. I have a huge pile of ironing to do.